In the morning, visit the “Heijo Palace;” one of the World Heritage site “Historic Monuments of Ancient Nara.” This is the remains of the ancient capital of Japan. 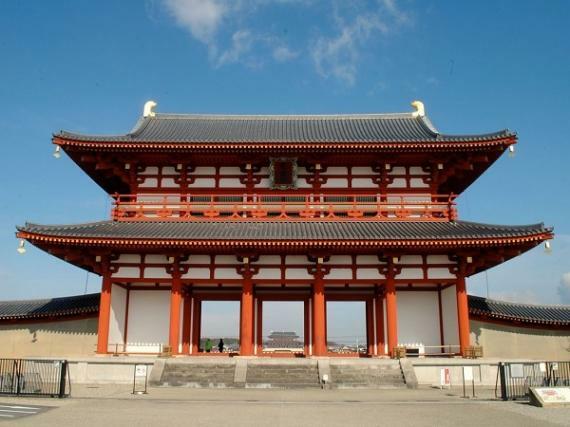 Some of the architecture has been reconstructed in the same scale and style from ancient times; such as “Imperial Audience Hall” where various rituals were conducted, “Suzaku-mon Gate” which was the front gate to the palace, and “Suzaku-oji Avenue” which was the main street of the ancient capital. Let’s explore and think about the people who built the Japanese capital more than 1,300 years ago, and experience some of ancient lives and cultures. 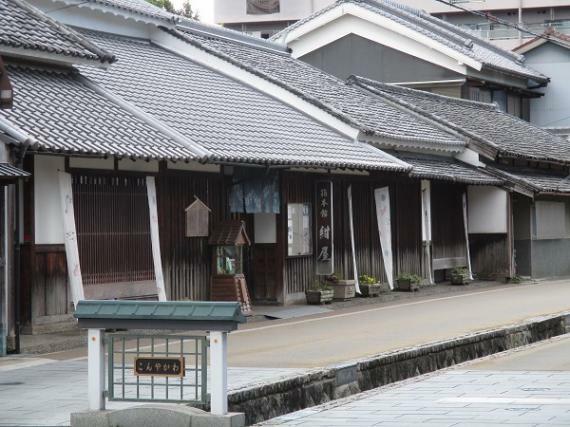 In the afternoon, you will visit a castle town “Yamato koriyama” prospered in and after the 16th century. Enjoy strolling through the castle town, where traditional Japanese streetscapes and lives still remain. Also, visit a traditional Japanese confectioner with a history of more than 400 years and then go to see goldfish, local specialty. The last stop is a symbol of town “Koriyama Castle,” where local people find a haven of rest. 09:40 Meet at JR Nara Station (west exit). ・With an English speaking guide, take a local bus to World Heritage “Heijo Palace”. 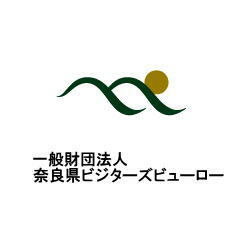 ・Explore the various facilities at the vast “Nara Palace Site Historical Park” which was newly open in the “Heijo Palace” in 2018. ・Participate in programs where you can experience ancient lives and cultures at facilities in the park. ・Enjoy a lunch at a restaurant in the park. 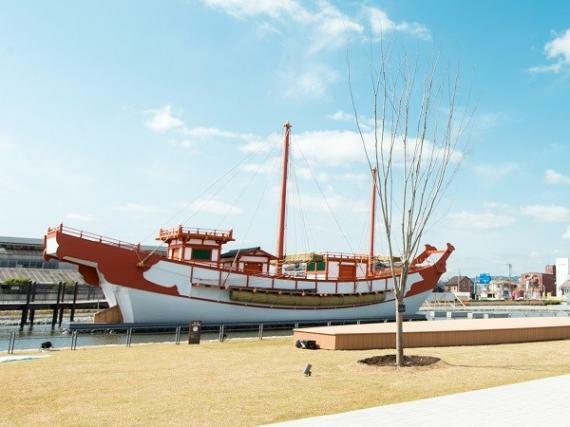 ・Visit “Yamato koriyama” after lunch by a local train. ・Enjoy strolling through the castle town, where traditional Japanese streetscapes and lives still remain. Also, visit a traditional Japanese confectioner with a history of more than 400 years and then go to see goldfish, local specialty. 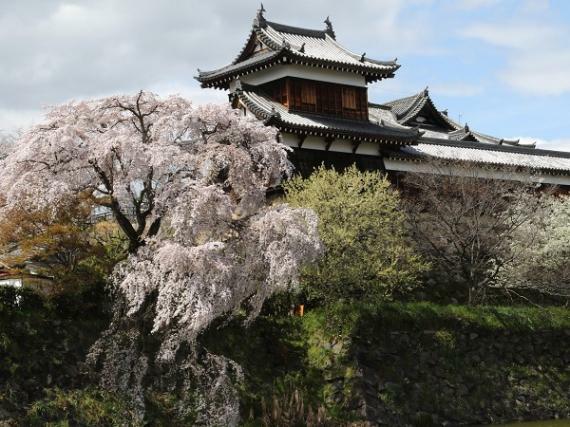 ・The last stop is a symbol of town “Koriyama Castle,” where local people find a haven of rest. 16:40 The tour ends in Yamato koriyama (JR Koriyama Station). * Information on local transportation to the meeting location or to your accommodation will be given before the tour ends. * Time and contents may be changed without a prior notice due to a local situation. * A guide is waiting for you at the meeting location.